Need some gift ideas for foodies? 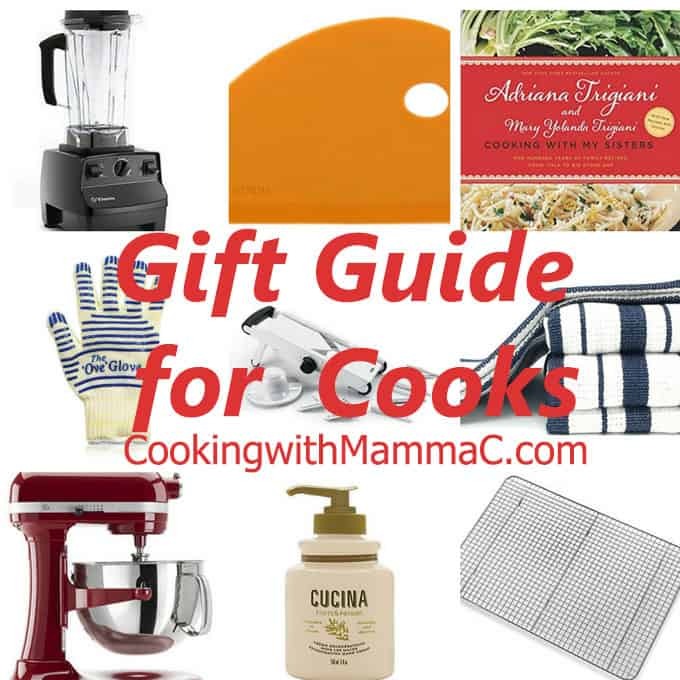 I’ve rounded up my favorite things in this gift guide for cooks! For someone who doesn’t like to shop, I’m awfully excited about this gift guide. Maybe it’s because I love everything on this list…and if I don’t already own it, I want it! Family members, please take note. 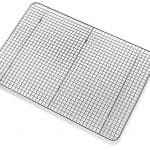 Cooling & Baking Racks – Before my hubby bought me mesh cooling racks, I had old-fashioned ones with lines going in one direction. These are more sturdy. Plus, they can go in the oven! 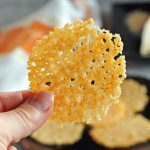 I set them on my baking sheets and use them to crisp up food like chicken wings or these Baked Parmesan Gluten-Free Onion Rings. Chances are, anyone over 40 will get excited over these, because they didn’t used to make ’em like this! 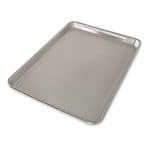 Half-Sheet Pans – Speaking of baking sheets, I own four of these half-sheet pans and can’t imagine life without them. They’re perfect for roasting vegetables, making sheet-pan dinners like Easy Sausage and Peppers, and baking cookies. I bought my daughter one of these to use in her college house, and my girl is roasting food like a boss. Mandoline Slicer – This is the tool I use to make Mom’s Scalloped Potatoes and this Cheesy Zucchini Bake. It slices veggies into super thin pieces. I’d never be able to accomplish that with my food processor! 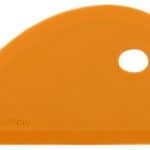 The mandoline has a hand guard for protection (trust me, that blade is sharp) and it’s easy to slide the food back and forth over the slicer. 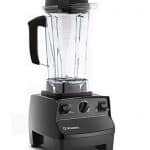 Vitamix Blender – We’ve owned our Vitamix for at least 14 years and use it so much, it sits on our countertop. I love it for smoothies, grating cheese, and making bread crumbs. I’ve also made “nice cream” with frozen fruit, and my hubby has made soup with it. This is a big-ticket item, especially if purchased new, but refurbished models are available for less. You’ll own it for life though, and Vitamix (based 25 minutes away from me!) will make repairs at no charge if you register your product. 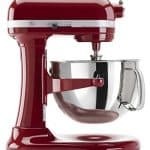 KitchenAid Pro 6QT Stand Mixer – I have this in red (of course!) and recommend this size for churning out double batches of dough for bread or pizza. I just used it yesterday for this Homemade Pizza Dough with Beer. If you dread kneading by hand, a stand mixer with dough hooks is the way to go! 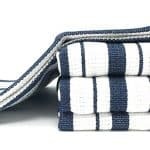 Williams Sonoma Kitchen Towels – These are my favorite dish towels ever! I’ve been using these exclusively for 16 years, and definitely need some new ones. They come in various colors and designs, and most importantly, are absorbent, lint free and don’t shed. Besides drying, I use them to wring out defrosted spinach for dishes like this Creamed Spinach and Artichoke Casserole. Silicone Pan Scraper – I own different silicone scrapers I bought years ago, but these look like they’ll do the job (and come in various colors). This is a small-ticket item that’ll be used nearly every day. Seriously, if you’re still scrubbing pots and pans, you need to try scraping off dried food and grease with silicone scrapers. They’re game changers, and work like a miracle on dough that’s stuck to bowls or counters. 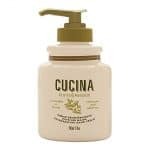 Cucina Hand Cream – This cream, which I’m currently out of, is made for use in the kitchen. (Cucina means kitchen.) 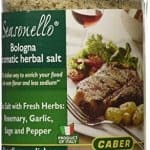 Made with cold-pressed olive oil and herbs, it doesn’t transfer any weird taste to your food. (Eucharistic ministers, please take note.) It provides exceptional moisturizing and helps heal cuts and burns. I wear plastic gloves when I do dishes, but in the winter especially, my hands need some extra TLC. 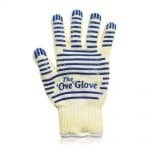 The “Ove” Oven Gloves – I know oven mitts are cute and all, but we have a pair of these “Ove” gloves, and they’re the only things we reach for when we have to grab a hot pan. They can withstand extreme heat and have a non-slip grip. Plus, it’s helpful to have use of your fingers; mitts (and mittens!) are pretty awkward. 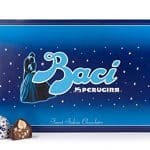 Perugina Baci – My favorite! We enjoy these dark-chocolate-and-hazelnut candies every Christmas and Easter. Inside the wrapper, there’s a little romantic note, sort of like an Italian fortune. What’s not to love? Kringles from O & H Danish Bakery – My husband’s colleague sent a couple of these pastry wreaths to us last year. We received a pecan one and a raspberry one, and devoured them. This year, my hubby ordered Kringles to send to all his clients for the holidays. There are so many flavors to choose from, and I can’t wait to taste more! 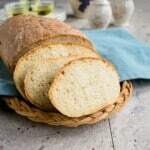 Nonna’s House: Cooking and Reminiscing with the Italian Grandmothers of Enoteca Maria – This came out a couple years ago, and I stumbled upon it at the library. 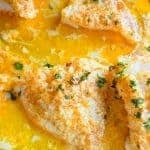 I used it as a resource for my Linguine with Creamy Walnut Sauce, and there are several more recipes I want to try! It’s a lovely book to read, as well. 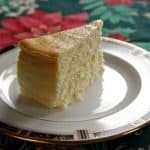 Cooking with My Sisters: One Hundred Years of Family Recipes, from Italy to Big Stone Gap – Adriana Trigiani has been my favorite author for nearly two decades. I had the pleasure of meeting her briefly after her talk at my local library, and we’ve corresponded a bit by email (squeal!) She and her sister Mary recently updated and republished their family’s cook book, and it’s on my must-have list. Smitten Kitchen Every Day – I loved Deb Perleman’s last cook book and can’t wait to dig into this new one. Her recipes always work and are delicious! 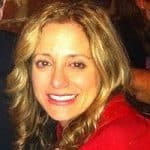 I love her humor and writing as well. Plus, Jewish mothers and Italian mothers are basically the same. Am I right? A fun post! Great ideas. Thanks, Chris! I actually want a second pair of the gloves so I can wash a set and use the others in the meantime. So many great ideas here – I agree, I want everything, too! 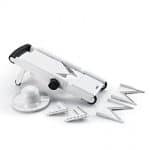 In fact, a mandoline is on my own wish list this year, and that Cucina hand cream is going straight into my Amazon cart! 🙂 Thanks for the recommendation! I hope you enjoy the Cucina cream, Monica. Thank you! Now these are great ideas! Thanks for sharing! I would LOVE a Vitamix, but just isn’t in the budget. They are amazing blenders. The one that always gets me is when they just make hot soup from ingredients and mixing. I hope you will get one someday, Ben! The Vitamix does heat things up the longer you mix it. I LOVE the Williams Sonoma towels too which reminds me I need more! Thank you! Never thought about getting them on Amazon. Going to check it out! I was happy to find them on Amazon too!